Do you believe in ghosts? 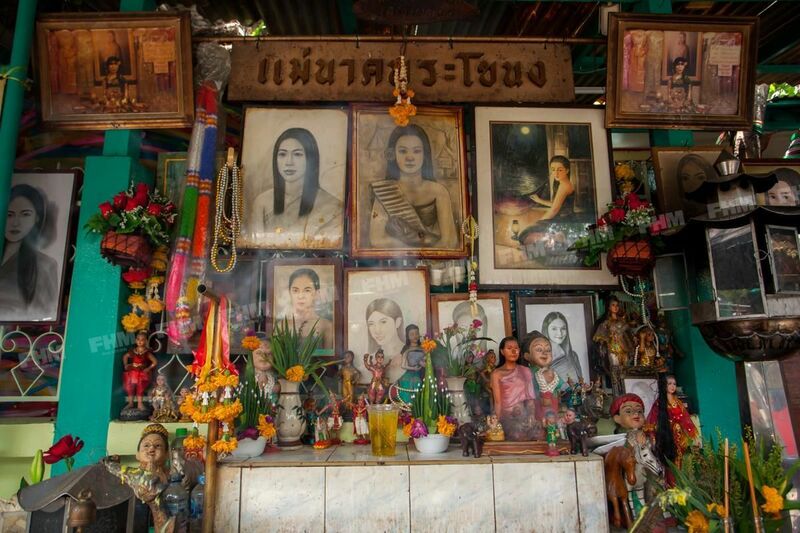 Mae Nak Phra Khanong or Lady Nak of Phra Khanong is one of the most famous Thai ghost stories. Actually, she is more than a mere myth. Feel thrilled and learn the history behind this local Thai folklore! Arrive at Mahabut Temple, where the story began. Visit the shrine of Mae Nak Phra Khanong with the statue of the lady herself and her infant. This ghost story is believed to have happened right here along this canal in the past. Then, we'll go make merit and feed fish as a part of Buddhist belief. Have a local lunch near Mahabut Temple. Let's fill your tummy with some delicious local food! The trip ends when I send you back at the BTS skytrain on a full stomach. In this trip, you'll follow the story line of the famous Thai tragic love story, "Mae Nak Phra Khanong", who died pregnant while waiting for her dearest husband to come home.